Geoffrey Chaucer was one of the greatest contributors to English literature with his work The Canterbury Tales. However, being a writer and poet was only part of what he did during his remarkable life. Chaucer was a Renaissance man before the term was even coined, serving as a bureaucrat, courtier, diplomat, astronomer, and philosopher. Part of what makes him one of the most important authors in English literature was his promotion of the English language in writing at a time when the upper levels of society were still dominated by French and Latin. Having lived most of his life in London, we’re going to take a look at his ties to the city and what he contributed. Thanks to the imprecise use of records during the Middle Ages, scholars believe Chaucer was born sometime between 1340 and 1343 into a family of London wine merchants, a position held by both his father and grandfather. As such, the family was wealthy and rather than going into the vintner business, Geoffrey’s father John used his connections to get young Geoffrey appointed as a page to Elizabeth de Burgh, Countess of Ulster, in 1357. While most people know page as a position that led to knighthood, it could also lead to other appointments within the English court. The Countess was married to Lionel of Antwerp, 1st Duke of Clarence and the second surviving son of King Edward III, so Geoffrey got his exposure to court early in life. Two years after entering the Countess’s service, he went to France to fight in the Hundred Years War and was captured. His close connections to the court meant King Edward paid his ransom and Chaucer then joined the Royal Service, becoming a diplomat and representing the Crown in France, Spain, and Italy into the 1360s. Following this, Edward made Chaucer an esquire and Chaucer continued his diplomatic work. By 1382, he’d been appointed a Comptroller of Customs for the Port of London by King Richard II, bringing him back to the city full-time. It was around this time that he’s believed to have started on The Canterbury Tales. He also moved to Kent, and by 1386 he was elected to the House of Commons for Kent. In 1389, King Richard II appointed Chaucer as Clerk of the King’s Works, which meant he oversaw construction and repair projects involving Westminster Palace, St. George’s Chapel, and the wharf at the Tower of London, amongst other structures. Unfortunately for Chaucer, the overthrow of Richard by King Henry IV meant the poet fell out of favor, though Henry was gracious enough to restore the pension Chaucer lost under Richard. History doesn’t say much of him afterward, at least, not as far as governmental career is concerned. By the point that his life in public service ended, his literary works were really picking up. From the 1380s-onward, Chaucer created some of his greatest works such as Troilus and Criseyde, Parliament of Fouls, The Legend of Good Women, and The Canterbury Tales. While he contributed much to London’s buildings, its economy, and courtly life, it’s his literary works for which Chaucer is best known. Credited with promoting English vernacular, it’s actually the London Dialect that Chaucer used in his writing and thus became the standard for later poets who found inspiration in his works. 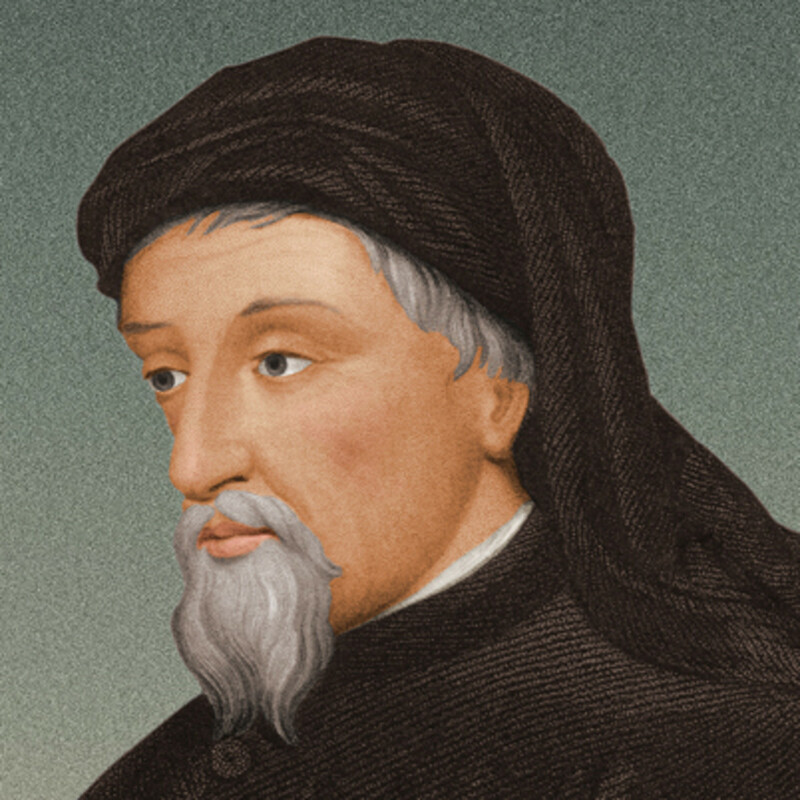 Chaucer was one of those writers who gained fame after his life due to the great number of writers and poets that used him to craft their own literary pieces. In this way, London English established itself as dominant in literature and would form the basis of every secular work to follow, all because of Geoffrey Chaucer.